Surrounded by fragile if not failed, states, Ankara has been facing challenges in dealing with refugee flows and border controls. The rise of radical militant groups on her borders, isolation -or ‘precious loneliness’, in Turkish officials’ words, is not sustainable for Turkey. 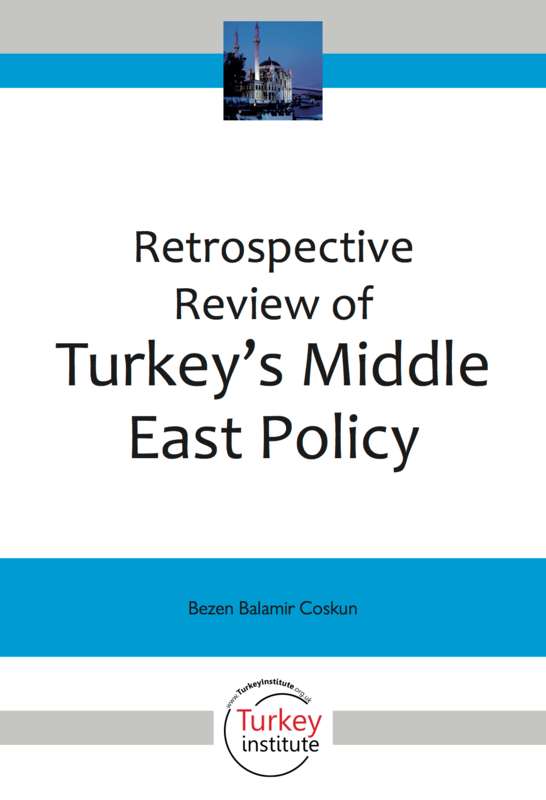 Since the establishment of the Republic of Turkey in 1923, the primacy of the ‘West’ in Turkish foreign policy had been underlined by Turkish foreign policy makers. However, it was impossible for Turkey not to be involved in regional affairs, given its 1673 kilometre border with Iran, Iraq and Syria, a 90 percent Muslim population, ongoing conflict with Kurdish separatist groups, and certain historical and cultural ties with regional states and societies. As a consequence, Turkey has been dragged into Middle Eastern affairs, even though it did not conceive of itself as part of the region. For a long time, Turkish governments adopted a cautious policy in their attitudes to the crises in the Middle East. However, the development of Turkey as a regional power, both militarily and economically, has weakened its ability to stay away from the Middle East, whose complex security has become more interwoven with that of Turkey. With the eruption of the Arab Spring, Turkey was side-lined from regional affairs. In the region, its ambitions to be a regional power and the depth of its strategic discourse were seen as being neo-Ottoman claims. Particularly during the Arab Spring, Turkey’s narrative of being a model state for Tunisia, Egypt and others was not well received by the new regimes in the region. The instability that prevailed in countries who experienced an ‘Arab Spring’ struck at Turkey’s trade relations, as well as at their diplomatic relations with them. Turkey, as a power between countries in a volatile neighbourhood, Turkey found the sustainability of policies, such as zero problems with its neighbours and value-based approaches, was really difficult to attain. This was also problematic for the West as, for them, Turkey was a regional success story. While Turkey has been losing touch in the Middle East, internally the government has begun to show authoritarian tendencies, which gradually estranged Turkey from the West. Now, surrounded by fragile if not failed, states, Ankara has been facing challenges in dealing with refugee flows and border controls. The rise of radical militant groups on her borders, isolation -or ‘precious loneliness’, in Turkish officials’ words, is not sustainable for Turkey. As a transit country for both refugees, irregular migrants and terrorists, Turkey’s border security has become one of the main concerns for Europeans states, primarily for the UK and France. The growing numbers of European citizens joining ISIL by passing through Turkish lands has caused a stirring amongst European governments. In this regard, Turkish border security practices, as well as Ankara’s position in regional conflicts, have direct effects on the West and Britain. The EU, in general, and particularly the UK’s close collaboration with Turkey is important. From intelligence sharing to providing know how and technology for border controls, such collaboration is crucial to prevent security threats. The Charlie Hebdo attacks and the case of three British teenagers who joined ISIL in March, 2015, are among the cases that have raised concerns about Turkey’s Middle Eastern policy. In most of the cases, like the Charlie Hebdo one, Turkey appears to be the transit country for militants moving to/from Europe. In conclusion, Turkey’s Middle Eastern policy is the key to the security of both British and other European citizens. Bezen Balamir Coskun is an associate professor of international relations. She teaches courses on theories of international relations, security studies, Middle East security and Turkish foreign policy. Her main research interests are theories of international relations, security studies and conflict resolution with a geographical emphasise on the Middle East region.